Last night Katie and I took advantage of our proximity to Raleigh and attended the Sir Walter Miler. 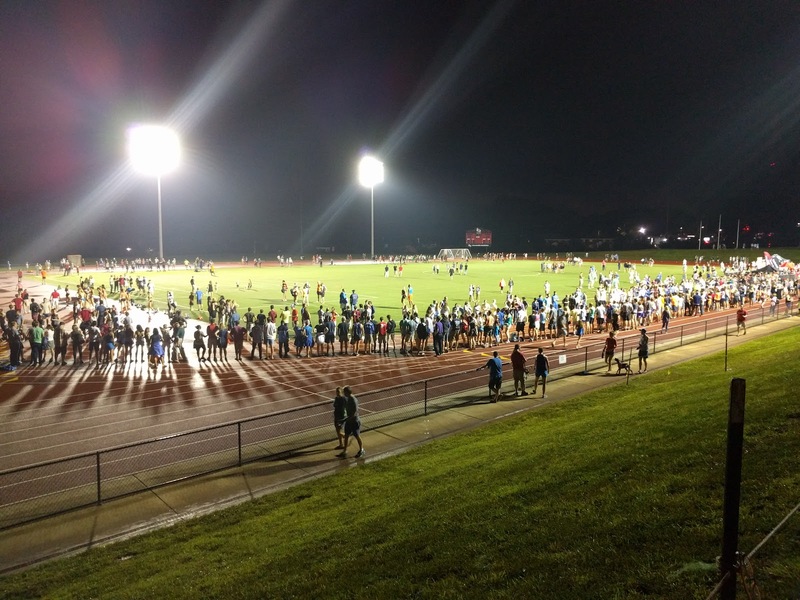 It's an annual race at which elite runners try to set new records in the mile. It was a really fun environment as spectators were allowed down on the track during the races to cheer on the athletes. How did those athletes do? The winning woman finished the mile in 4:25 and the winning man finished in 3:54. Those numbers are impressive enough, but it was even more impressive to see what a sub-4:00 mile looks like up close and personal! Afterward, Katie and I rewarded ourselves for our excellent spectating by visiting nearby FRESH, our favorite ice cream in the Triangle!